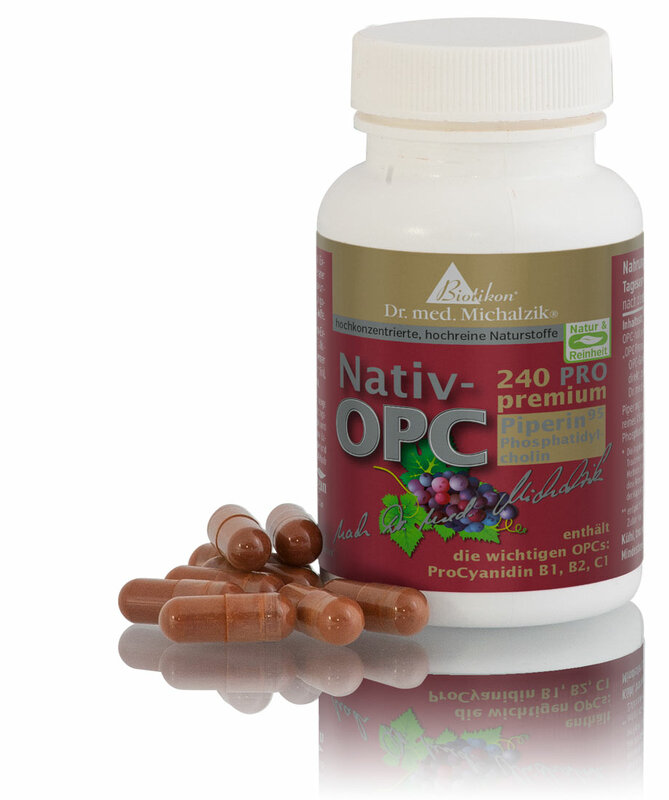 OPC premium Piperine PRO with Piper nigrum-extract 95 % and phosphatidylcholine is created by researching and further developing our high-quality OPC premium-product. OPC Premium Piperine PRO by Dr. Michalzik is subject to strict examinations of German supervisory authorities. It is manufactured by use of gentle production technologies without heat or additives and without the use of processing agents which are not required to be mentioned on the packaging. * Corresponds to 62 % of the National Reference Value (NRV) for a daily intake in accordance with the Food Information Regulation (LMIV). The following diagram is intended to illustrate the different ingredients of grape seed extract. Contents of capsule contain only pure substances without additives or fillers. We deliver fresh products. 1 capsule after a meal. 72 OPC 240 Premium Piperine PRO capsules, each capsule contains 450 mg grape seed extract, 50 mg vitamin C, 5 mg Piperine and 20 mg phosphatidylcholine. 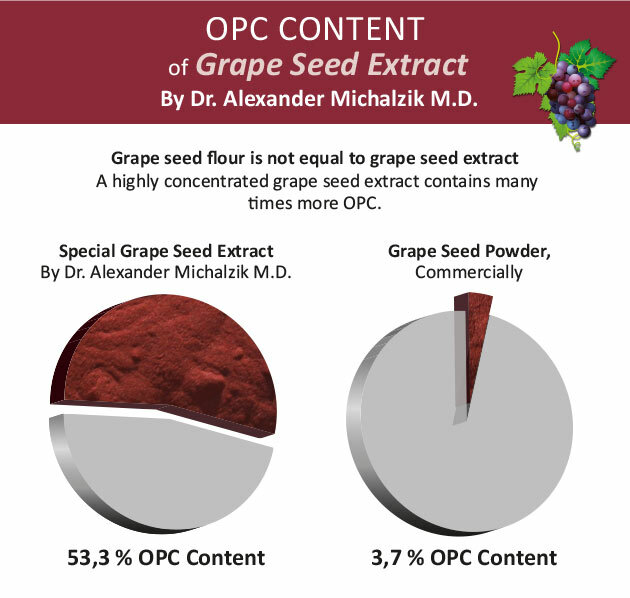 OPC should originate from grape seeds. Much knowledge is received from studies of red win. 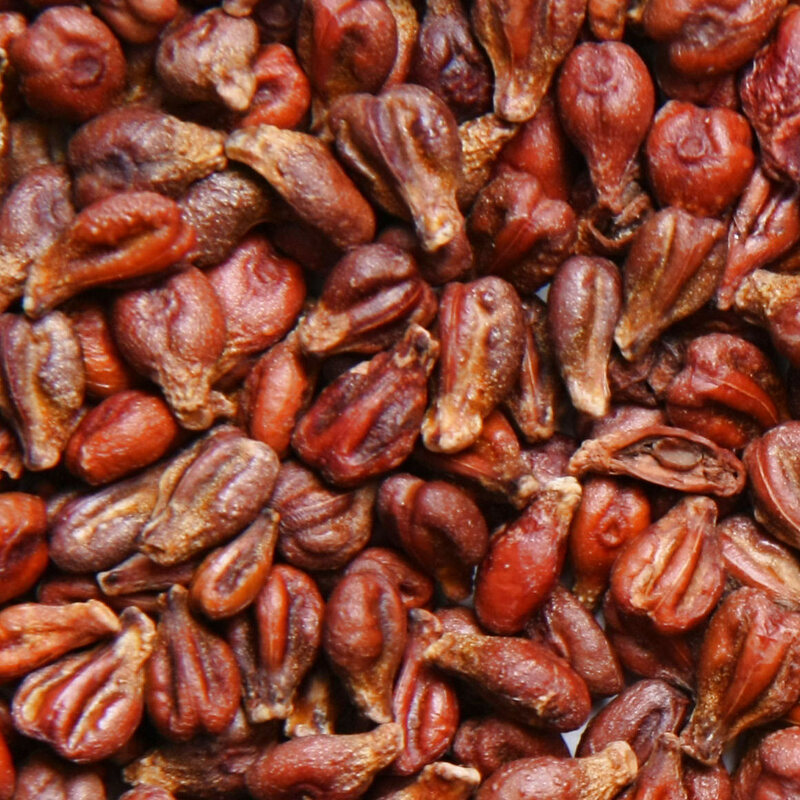 Polyphenols of plants are known as phytochemicals.  When OPCs are taken into the body, they no longer form the original blocks (catechins) but substances with a new identity possessing a larger spectrum. 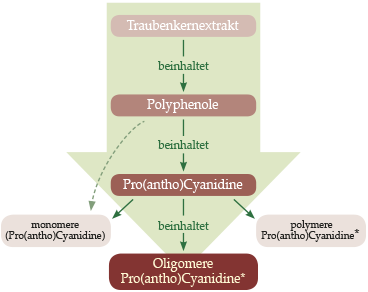 Therefore, they are called pro-cyanidines since they do not disintegrate into catechins but cyanidines. Green tea, for example, contains mainly monomeric (single) catechins, which are not comparable with OPC. The reason that a peeled banana turns brown, and iron will rust is the oxidation of these substances by radical oxygen molecules (free oxygen radicals).